Dakhla is a result of a mixing influence from various cultures, and its architecture has a strong colonial influence from its colonial masters, the Spanish. But what is exciting about this small city that makes people love to come and spend some good time in it and bask in its beauty? Dakhla (also called Ad Dakhla) is a city in the western part of the Moroccan Sahara Desert. 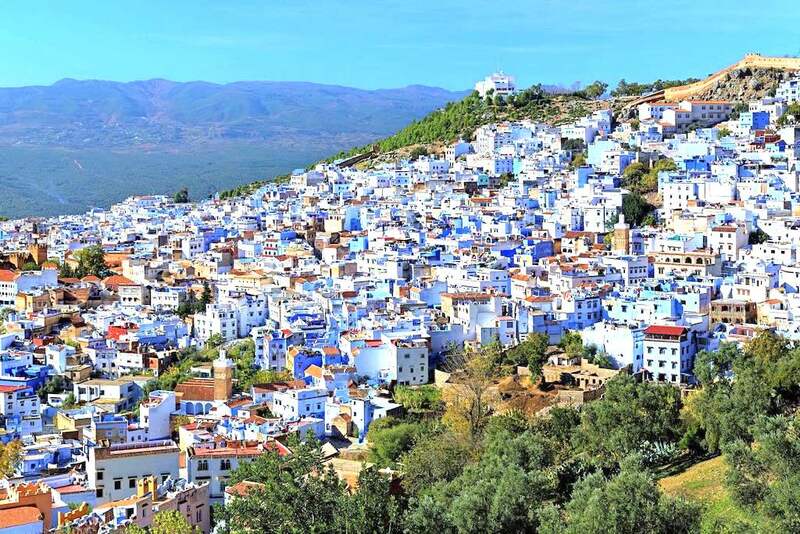 It is a relatively small city with a very little population, stationed on the narrow peninsula of the Atlantic Ocean. Dakhla is an ancient city which has always been inhabited by people since early times of human history. 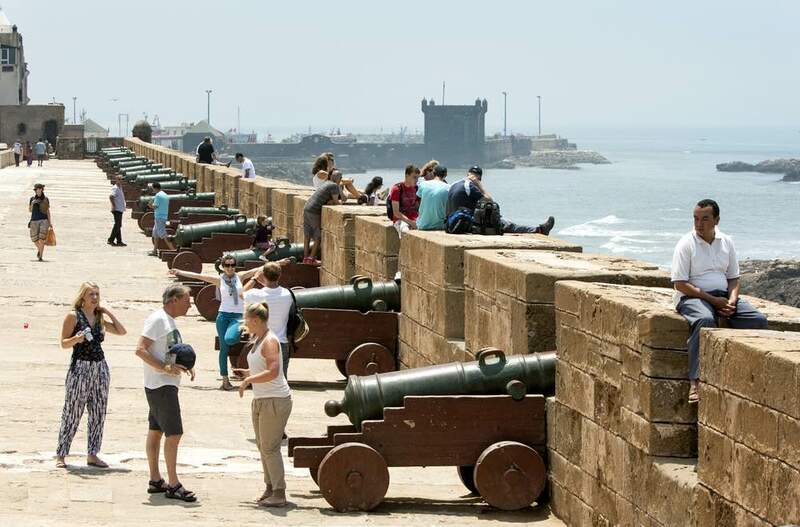 Today, the city is one of beautiful beach spots in the kingdom of Morocco. 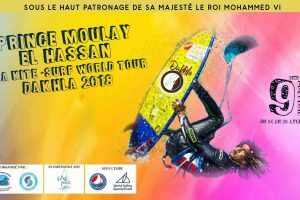 Dakhla is well popular among water sports lovers such as kite surfers, and over the years, the city has witnessed several international water sports competitions in its lagoons. Dakhla could well be described as a city having a very soothing, relaxed and tranquil atmosphere. A very nice place for adventurists, water sports lovers, and tourists. Getting to Dakhla would mean one will have to take either of two routes; either by air or by road. Getting to Dakhla by air would require one to book a flight to the wonderful city. There is an airport in the city where travellers travel through aeroplanes to and from places such as Casablanca, Marrakech and Agadir. Going to Dakhla by air would get one to the city quicker, but it may somewhat afford one a less than interesting or adventurous journey to the city. If one chooses to get to Dakhla by road, one may have to either solely take a bus or combine journeying on a bus and trekking around the city. For adventurous travellers –which most people are– the prospect of travelling to the city on a bus would send one some goosebumps of excitement. You will not only enjoy the view and scenes of the beautiful city and its landscape, but one will also savour its beauty! Travelling to Dakhla by bus from Agadir, where most travellers begin the journey, one will enjoy a slow twenty (20) hour yet exciting ride to the city, viewing its beautiful scenes and landscape. You will enjoy a fantastic view of the ocean as one journey along, as well as watching the gleaming sun hitting the sandy earth of the Sahara desert. What an amazing sight! The beauty that Dakhla holds does not just end at the journey to the city; in fact, that is where it begins. Having gotten to the city, one has the choice of either staying in a hotel or a hostel depending on how much one has to pay. Most of the places to stay in the city are situated in the eastern part of the peninsula where people are not only shielded from the sweeping wind that blows across the Atlantic Ocean, but one is also exposed to the serene view of the lagoons. The surrounding areas of Dakhla are characterised by beaches. The beaches are more than beautiful, and they are where most travellers come to eat their food while enjoying the beautiful sea sport of kite and windsurfing. It is for no reason that travellers enjoy these beaches. For one thing, the beaches are really quiet and serene, and once in every moment, you will find the Dolphin displaying its swimming skills as it rises high and dives back into the water as quickly as it had risen. It is a sight that many travels to capture. The trekking is the part that most adventurers and explorers would love as much. Explorers get to enjoy the trekking in the famous hot Sahara Desert. The Desert is one amazing place to explore. The Sahara desert stretches far into more than 3 million miles, with dunes reaching about four hundred feet (400 Ft) high, and variety of plant species which make the Desert a very exciting place on earth to explore. Travellers who love to engage in some sort of adventure usually explore the Desert into its western part. One could explore the Desert by taking long treks on foot, by riding on an air-conditioned 4X4, or more interestingly, by riding on the back of a camel. Aha, Food! Dakhla is bounded by the ocean, so you would expect to find lots of food delicacies prepared with some sea creatures. The city does not fail to surprise travellers with its varieties of local delicacies on food menus. Yes, the sea creatures such as prawn, calamari, oysters, etc do not fail to surface in the different delicacies prepared in any restaurant in the city. From T-Bone steak to tajine, the delicacies would always leave the visitor begging for some more. 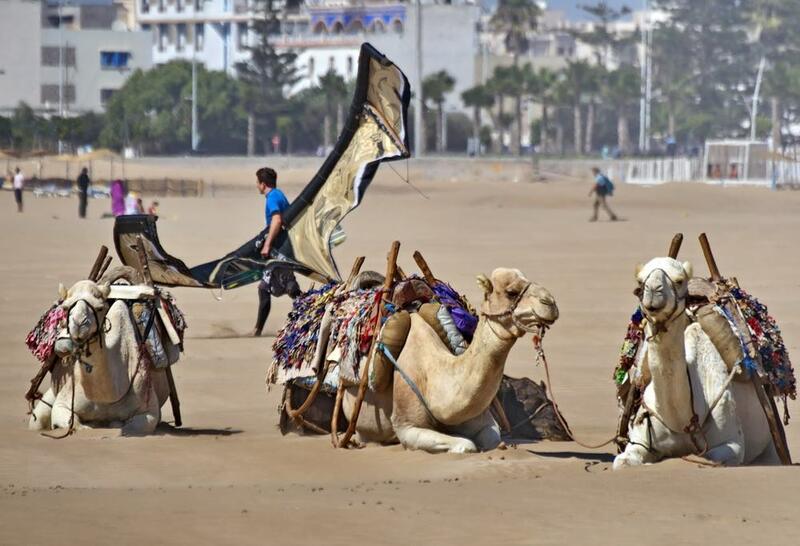 Dakhla is a city that is very popular among people who engage in kite surfing. The city’s geographical alignment to the coasts of the Atlantic Ocean makes it a paradise for kite surfers. Of course, there is the blue lagoon to the east part of the peninsula with its tranquil and cool sides; a very suitable place where amateur kite surfers could hone their skills. And then to the western part of the peninsula where international sports competitions are usually held, are great areas for the more skilful showing off one’s kite surfing skills. Another fascinating thing about this ancient city which makes it a paradise for kite surfers is the fact that the wind remains consistent all year round, having an average of 20-35 knots a year. And that’s why Kite surfing addicts will fall in love with this city. Welcome to Dakhla!